Adult & Family Literacy Week 2016 | Back to Basics Learning Dynamics, Inc.
Literacy is a family affair… Sept. 26-Oct. 1 is Adult and Family Literacy Week! National Adult Education and Family Literacy Week will be celebrated September 26th – October 1st. This event raises public awareness about the need and value of adult education and family literacy. Currently, 36 million adults in the U.S. adults have low literacy skills. And, research has consistently shown that a mother’s reading ability is the biggest predictor of her children’s future academic success. These pressing issues — adult education and family literacy – play a vital role in our country’s economy, crime and poverty rates, health care costs, and education system. 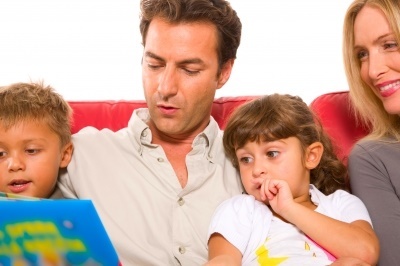 Children of parents with low literacy skills have a 72 percent chance of being at the lowest reading levels themselves. These children are more likely to get poor grades, display behavioral problems, have high absentee rates, repeat school years, or drop out. Parents with a high school diploma are 11 percent more likely to assist their children with homework. Just 35 percent of individuals with below-basic skills are employed full time, while 64 percent in the proficient category have full-time jobs. The salaries of adults with below-basic literacy skills are, on average, $28,000 less than salaries of adults with proficient skills. Women with low literacy are twice as likely as men to be in the lowest earnings category of $300 a week or less. Minimum wage workers increased wages by 18 to 25 percent within 18 months of exiting an adult education program. Americans with a high school diploma or less scored lower in literacy, on average, than their counterparts in the other 23 countries. To get your family started on the path to improved literacy, Back to Basics Learning Dynamics can help. Back to Basics offers award-winning, 1-on-1 tutoring for reading and reading comprehension for students of all ages. Our experienced instructors will work 1-on-1 with to help students read, comprehend, retain and apply reading material. These sessions provide students with the knowledge and confidence to complete any required reading. Tutors are available at your home, day camp, or in our Newark or Wilmington locations. For more information about reading help in Delaware, call Back to Basics at 302-594-0754. Since 1985, Back to Basics Learning Dynamics has been the undisputed leader in 1-on-1 tutoring in Delaware and southeastern Pennsylvania for over 60 subjects for children and adults, including 1-on-1 SAT/ACT/Praxis Prep, as well as translating and interpreting in 21 languages, homebound services, RTI support, and psycho-educational testing. For more information about Back to Basics’ educational services, please call us at 302-594-0754. Students can help improve youth reading and writing skills around the world... simply by making a bookmark!